Less than 50 cents of every additional property tax dollar over the last 20 years went to pay for services that raise home values. 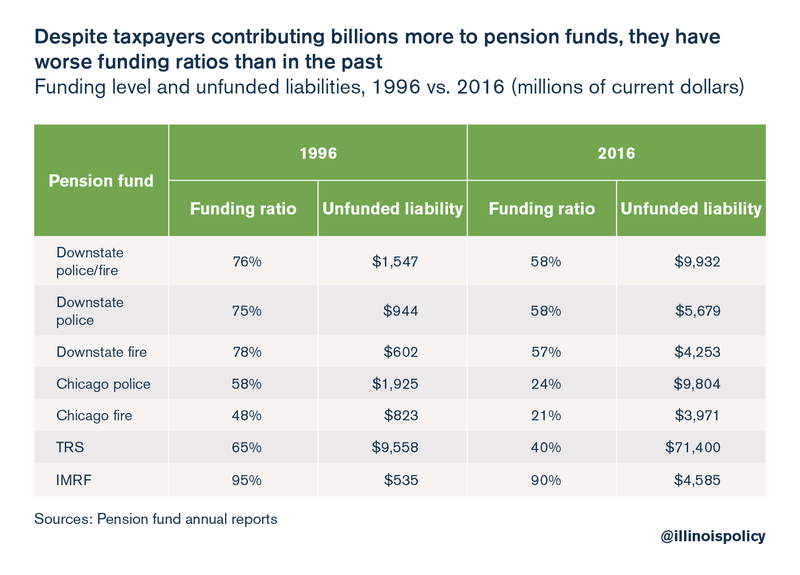 Instead, the primary driver of the rise in property taxes was pension costs. 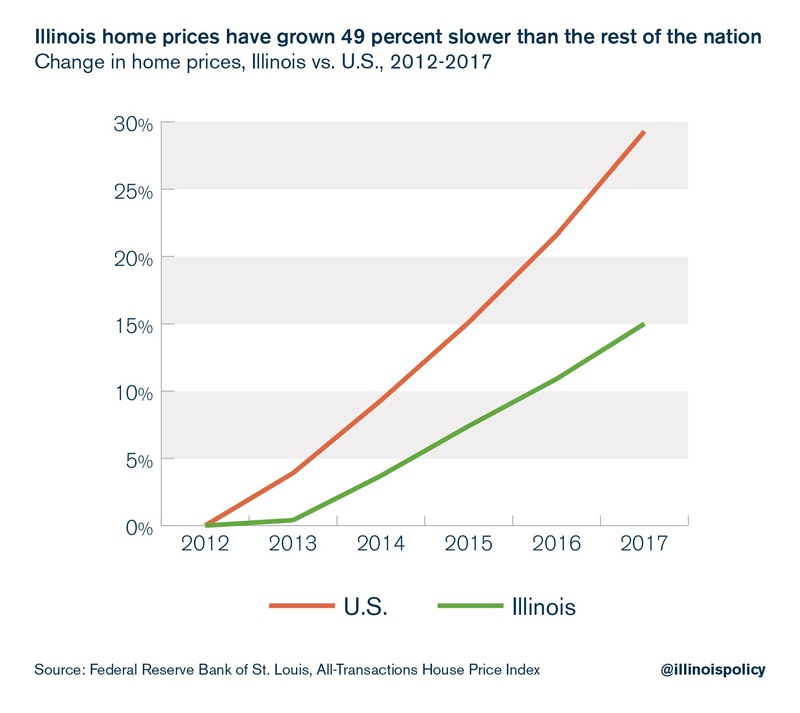 Across the state, home value appreciation is severely lagging the national average despite property taxes increasing at a frenetic pace. 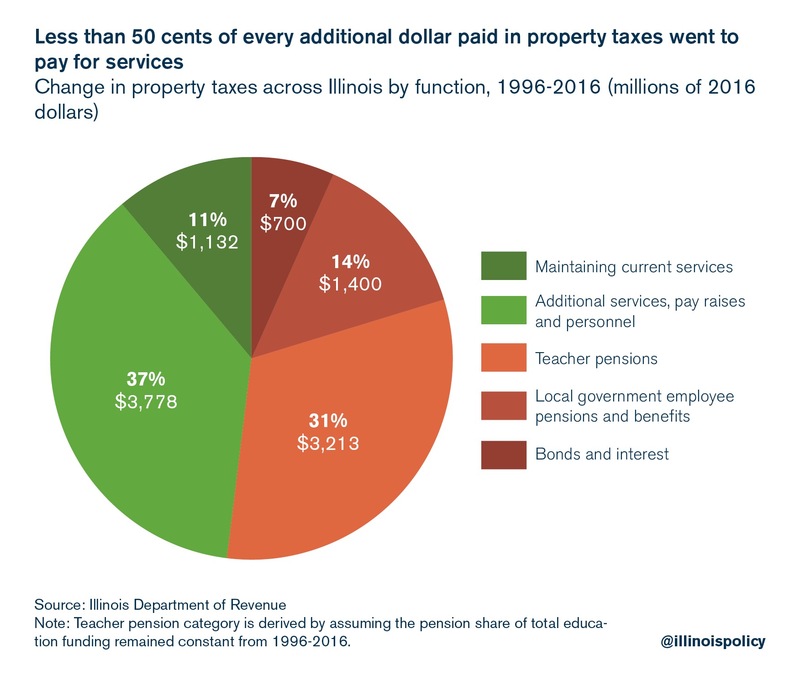 One reason for this is that less than 50 cents of every additional property tax dollar over the last 20 years went to pay for services that raise home values. 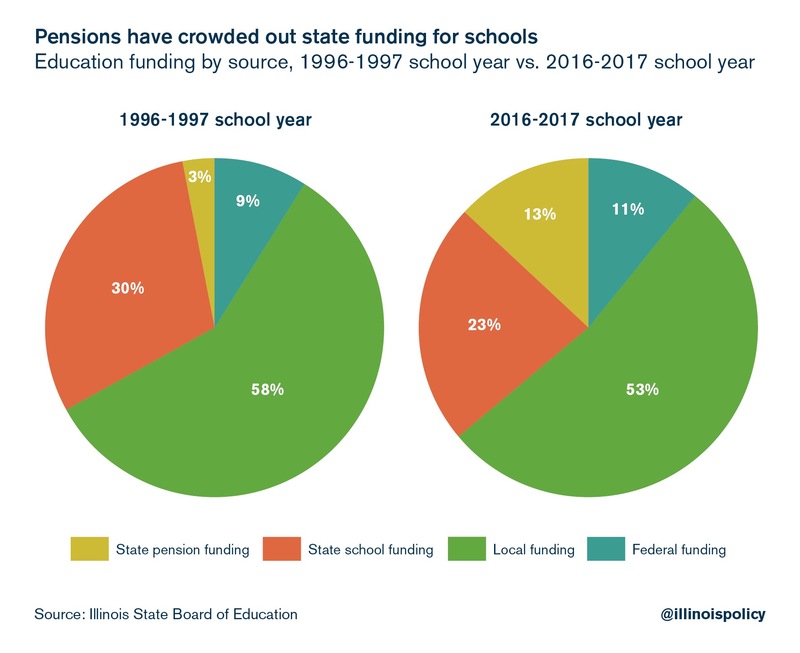 Instead, the primary driver of the rise in property taxes was pension costs. 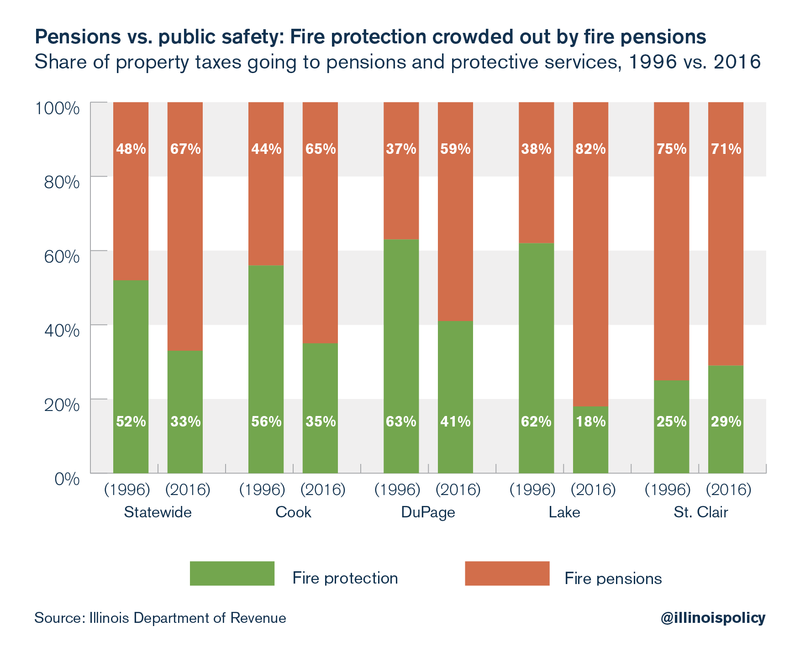 Of every additional property tax dollar that went to municipal fire departments in Illinois from 1996 to 2016, 78 cents went to pensions, not protection. 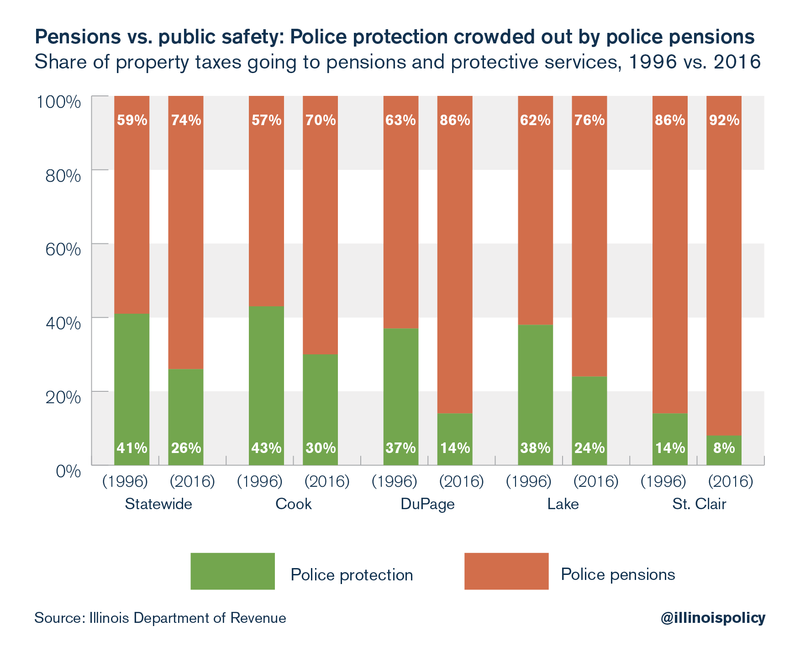 Of every additional property tax dollar that went to municipal police departments, 81 cents went to pensions, not protection.